With Gwen Stefani, Fergie and Beyonce releasing the slower numbers on their record as singles all this month, I’ve resorted to listening to oldies; oldies as in the legendary Beatles, Beach Boys and a bit of Velvet Underground. These are some pretty good stuff, I must say. 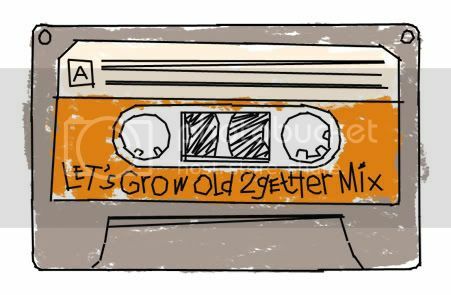 I suddenly have this idea of making a mix out of oldies songs and am going to call it the ‘Let’s Grow Old Together’ mix. Who’s with me? There’s nothing wrong with listening to oldies I think, even though, say, you’re only 21. It’s not about age, or maturing too fast or having an old soul. It’s simply about listening to great, good; real music regardless of era or year the music is released. So, let loose and give in – I know you can’t help yourself from bobbing your head to a Beatles song. |mp3| The Beatles – What You’re doing?